Here, the author provides professionals in environmental research and management with the information they need with respect to computer modeling: An understanding of the mathematical fundamentals and the choice of the optimal approach and corresponding software for their particular task. - Contains a detailed summary of currently available software tools and the application in spatially explicit simulation based on geographic information systems. The worked examples and case studies cover a broad range of environmental systems and processes, adopting such modern mathematical methodology as partial differential equations, fuzzy logic, hybrid Petri nets, and optimum control theory. The result is a unique presentation of applications for high standard modeling and simulation methodologies in the interdisciplinary fields of environmental research. From the Foreword by Robert Costanza (Gund Institute of Ecological Economics, Burlington, VT, USA): "As a teacher of environmental modeling, I've been searching for many years for the perfect text to use courses. My search has ended with the publication of Ralf Seppelt's book and I intend to use it as a core text in modeling courses." The major focus of Dr. Ralf Seppelt’s research is the application of mathematical methodologies for solving environmental problems. He entered this interdisciplinary field upon obtaining a diploma in applied mathematics from the Technical University Clausthal, Germany, in 1994 and with his mater’s thesis on socio-ecological models. He continued as a research associate at the Collaborative Research Center “Water and Matter Dynamics of Agroecosystems” in Brunswick, where he obtain his doctorate with distinction in science, agroecology, and system analysis in 1997. Over the last few years he has managed several research projects in cooperation with different research institutions as well as industry and with small companies. In 2000 Dr. Seppelt was visiting scientist at the Institute of Ecological Economics, Maryland, USA. Ralf Seppelt has published more than 30 scientific articles and is a reviewer for several international journals. His successful research in the field of environmental science was made possible by his productive interdisciplinary teaching of undergraduate and graduate students. At the TU Brunswick, Dr.
Seppelt lectures in computer science, geographic information systems (GIS), theoretical ecological, and numerical environmental modeling. "This book is a giant step forward in describing the development and use of environmental models..."
"This is a well-written and understandable book...The author is to be commended on his effort." "... the book is an important contribution to improved environmental modeling. The process-research-oriented readership can well derive opportunities for model-based experimental planning as well as to set up validation experiments for the assumptions underlying environmentally complex computer simulation models." "... the book is unique in its comprehensive integration of the theory and practice of environmental modeling and management." 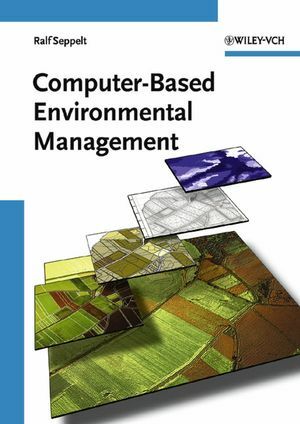 "In summary, this book provides a straightforward yet comprehensive context linking insights and principles in environmental modeling with solid examples on how computer-based management can be practiced. It should benefit a wide range of landscape ecologists and modelers who, while varying in terms of their specialty and technical skill level, seek to enhance their understanding of environmental management based on computer modeling."